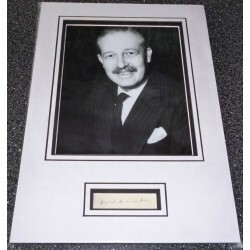 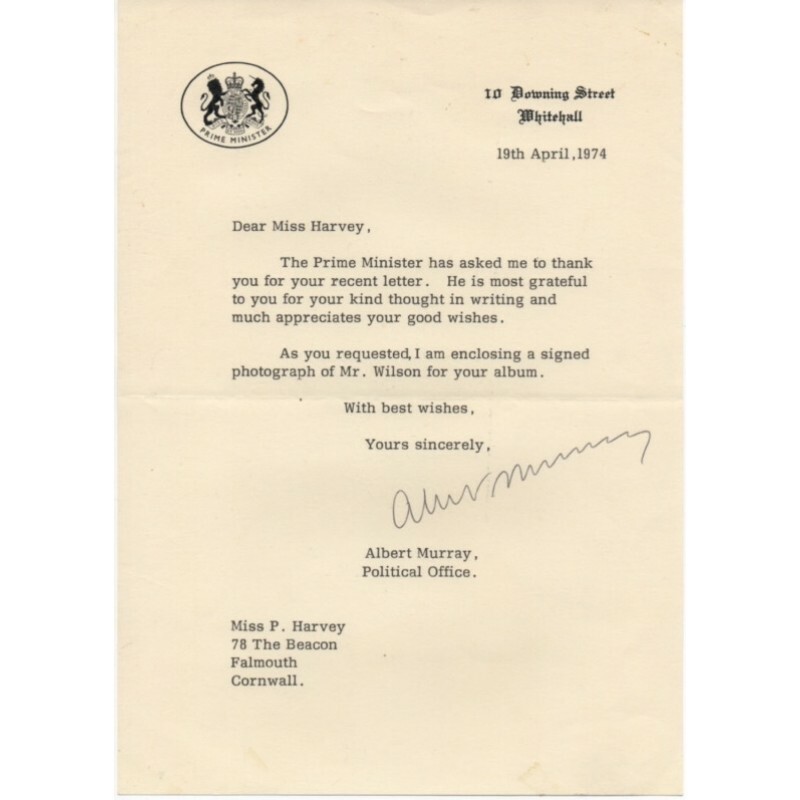 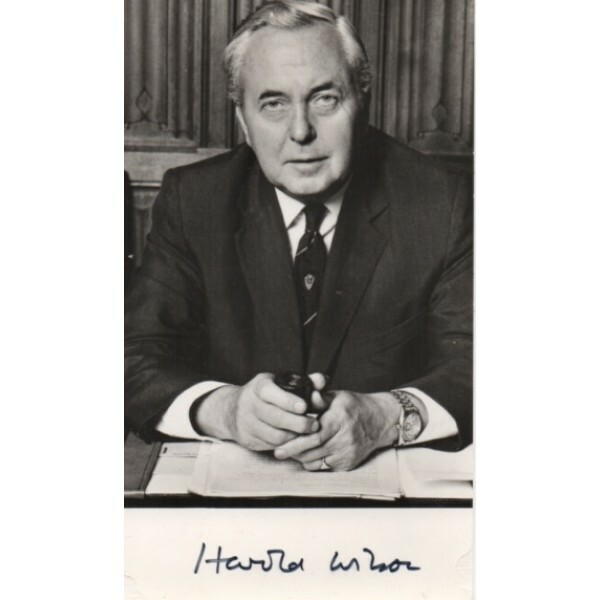 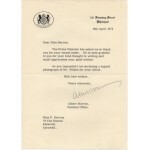 A 9cm x 15cm photo clearly signed by Harold Wilson in black ink, together with the original confirmation letter from his office. 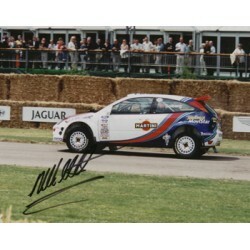 (1956 - ) 10x8`` Colour action photo of Solberg in the Ford Focus. 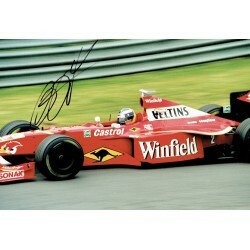 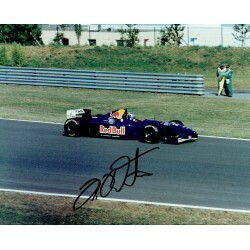 Signed by Ford Motorsport boss Ma..
A 10" x 8" photo double 3D mounted in acid free mount board, with a genuine signature of Harold..